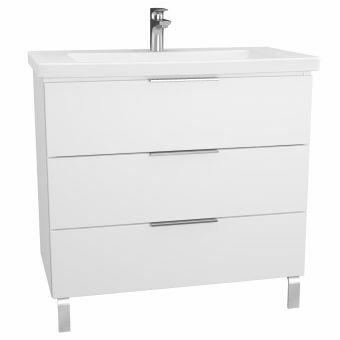 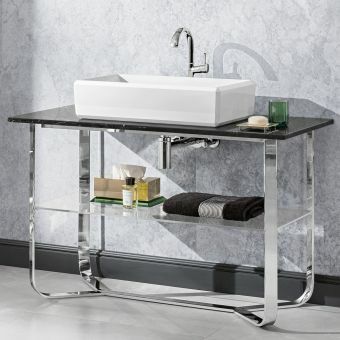 This vanity and basin package is superb value for money. 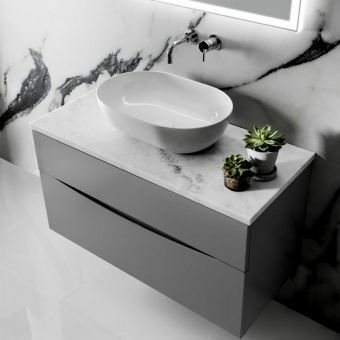 Manufactured by leading global bathroom manufacturers VitrA, quality and durability are guaranteed on this stunning basin and unit set. 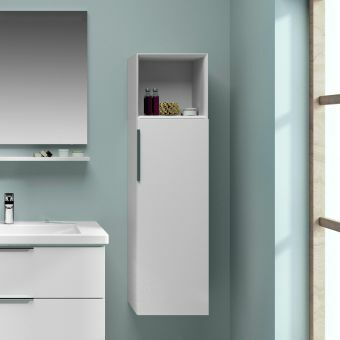 The carcass comes fully factory assembled ready to be installed on the wall, and comes with wall fixings. 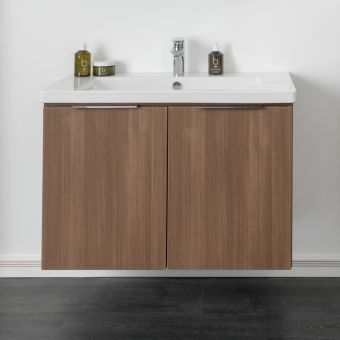 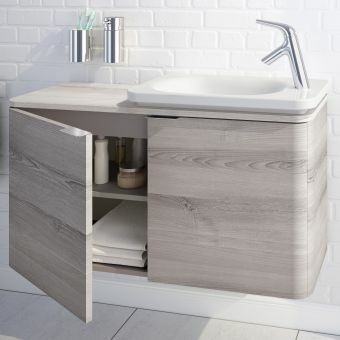 This value package includes a one tap hole vanity basin and has the additional upgrade option of adding under basin LED lighting which both acts as task lighting to aid you selecting products from the soft closing drawers, but also creates a lovely warm mood in the bathroom creating a light bright and welcoming space. 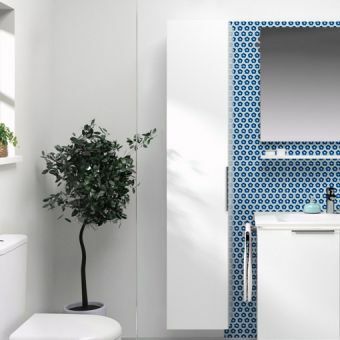 This is something VitrA strive to achieve with all their bathroom products, allowing the customer to create a unique and inviting bathroom making the bathroom so much more than just a space to wash but a real part of the home. 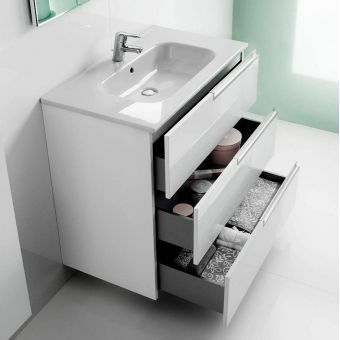 The unit is thermoform coated and the thickly glazed basin is easily cleaned. 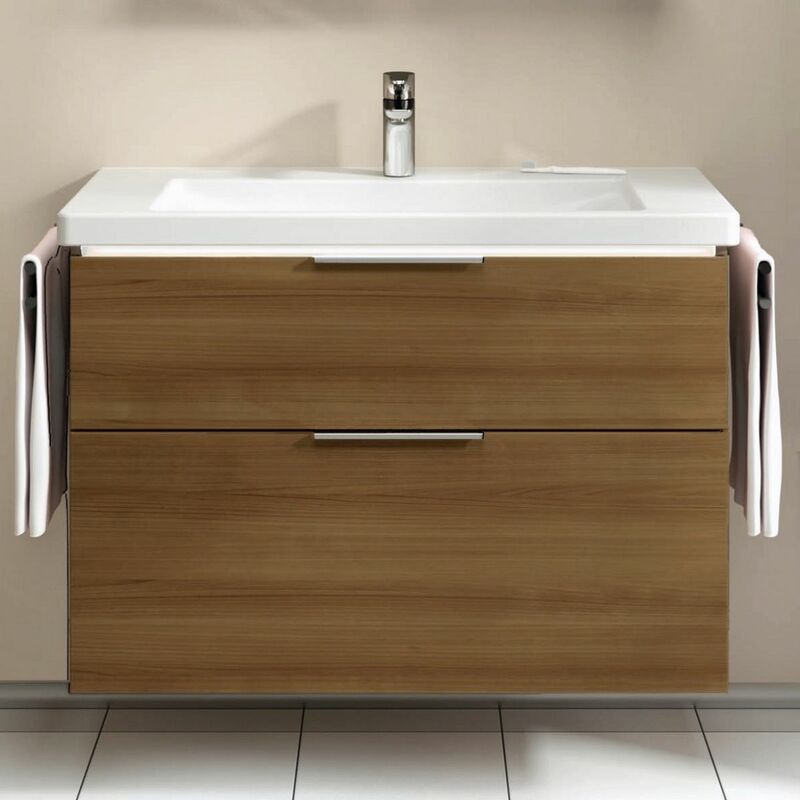 Gently slowed drawer closing mechanisms ensure the drawers never slam shut, adding safety and comfort of use to this unit. 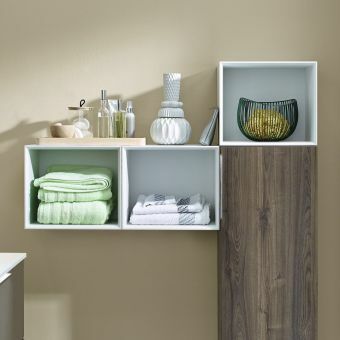 Choose from 2 stylish and popular colour choices: Oak or White.